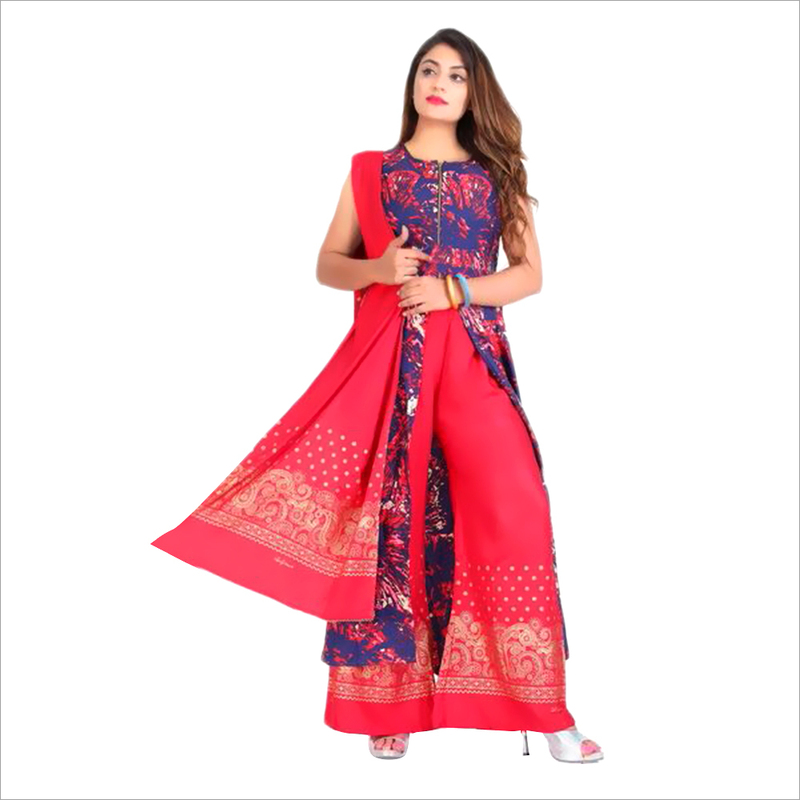 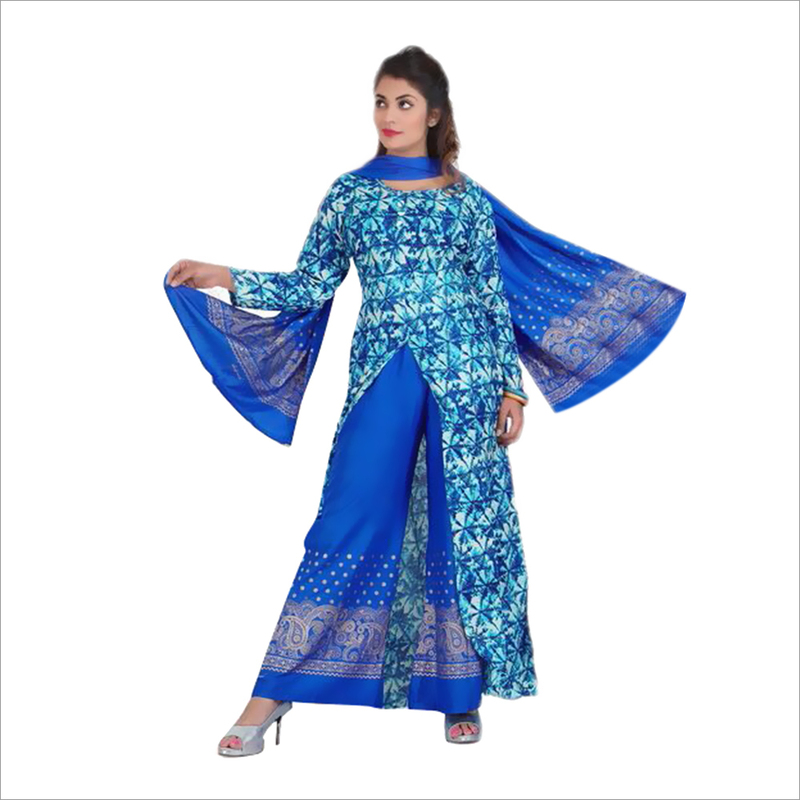 We have emerged as a trusted destination for providing Ladies Palazzo Suit in India. 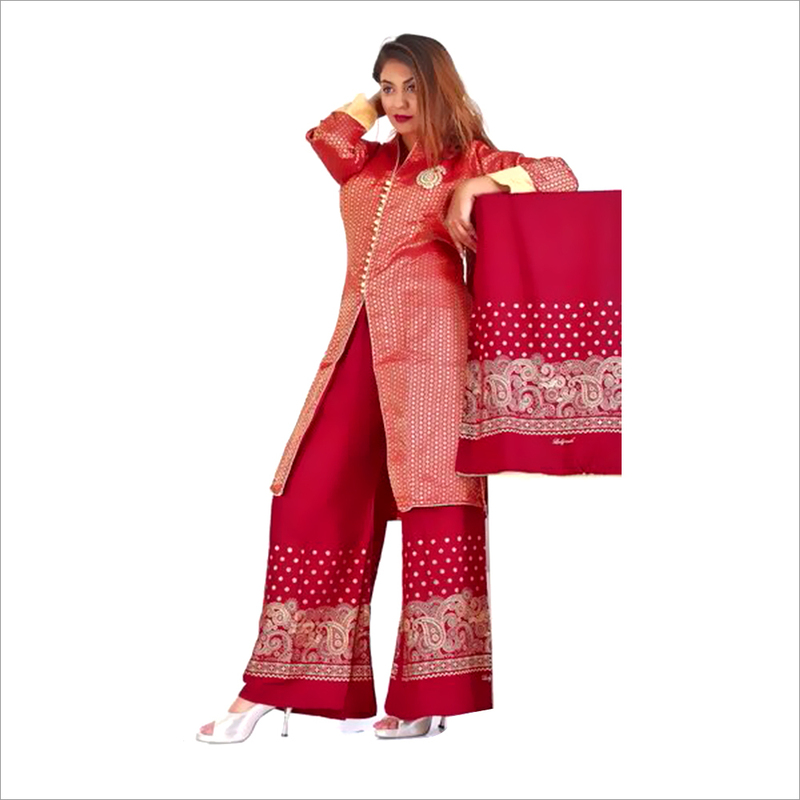 Palazzo suit is in vogue in recent years and the demand has risen dramatically owing to the appeal, comfort and sophistication it exudes. 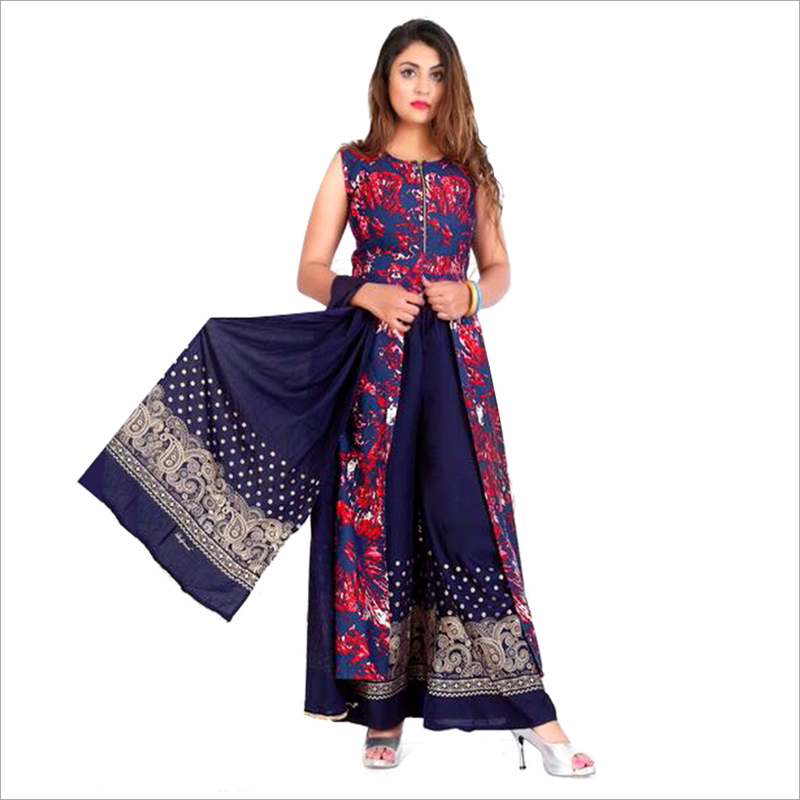 This three piece suit has long, front slit kurti, palazzo and matching dupatta.